We’d love your help. 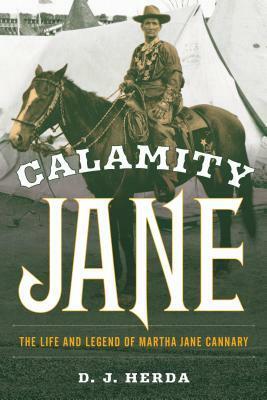 Let us know what’s wrong with this preview of Calamity Jane by D.J. Herda. To ask other readers questions about Calamity Jane, please sign up. I must admit my interest in Calamity Jane stems from the Doris Day highly-Hollywood-ized movie which I saw when I was young & from the fact that someone I know named their daughter Calamity Jane (seriously). It was enlightening to discover the real woman behind the name & learn about the hard life she led in a time when women were not supposed to be equal to men (sadly, still true in many areas today). I enjoy reading about real history & this was an interesting book. Difficult to read, becomes uninteresting half way through.